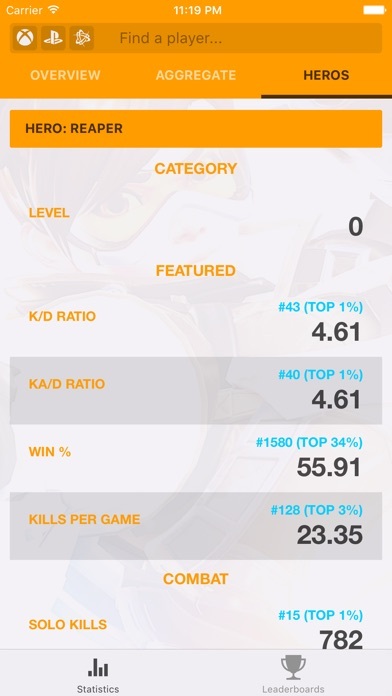 TRN Stats for Overwatch App Data & Review - Entertainment - Apps Rankings! 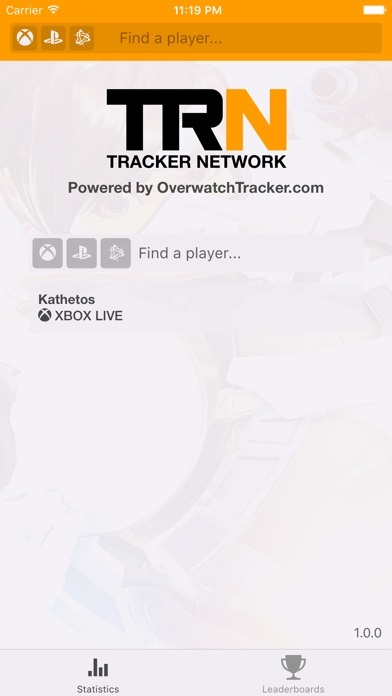 Powered by OverwatchTracker.com, part of the Tracker Network. 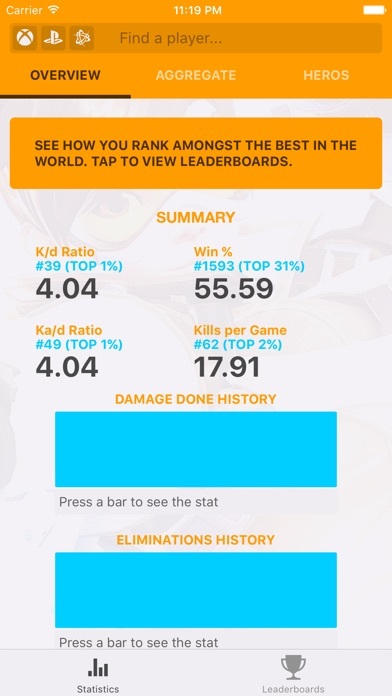 OverwatchTracker.com is the premiere place to stay up to date with your Overwatch stats and career progression, and now we're bringing it to your phone! 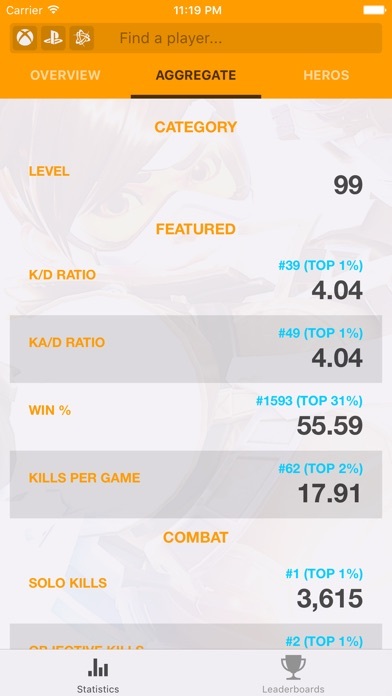 See an overview of your Overwatch stats and acquire in-depth knowledge of your career progression. 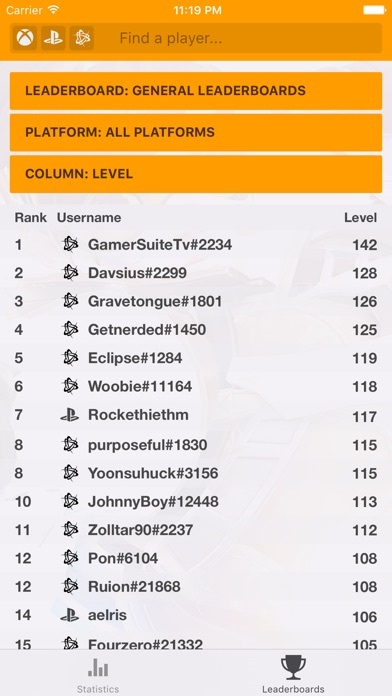 Use the leaderboards to see how you stack up against your friends and foes. We're going to be adding more features all the time, so keep coming back to see what's new. The applications TRN Stats for Overwatch was published in the category Entertainment on 2016-06-03 and was developed by Tracker Network. The file size is 19.05 MB. The current version is 1.0.6 and works well on 7.0 and high ios versions. - We've added competitive mode stats! 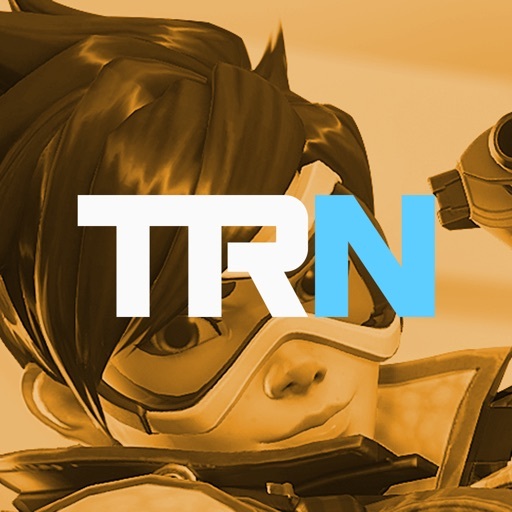 Do you like TRN Stats for Overwatch applications? Please share! Even though I signed in with my account and Authenticator it still says it cannot find me and check my spelling. Went to help page and it shows page not found. Don’t waste time with this app. Too many bugs in the game. Pathetic excuse of an app. Doesn’t even function. This app is full of flaws. It claims to be free, but you have to pay $0.99 to even see the leaderboards on the app. Also, good look trying to see stats on a player on the app because the layout of this app is hard to read, lazily put together, and even some of the stats are clipped off the screen and you can’t even scroll to the right to be able to read them. Not worth downloading. Trust me. Just stick to using the website on your computer/laptop. But why won't it show the overall time played for each specific character? It's showing the quick-play time played. I have 74/75 hours on Junkrat overall, but only 1d 13hr 00mins (37 hrs) according to the app.